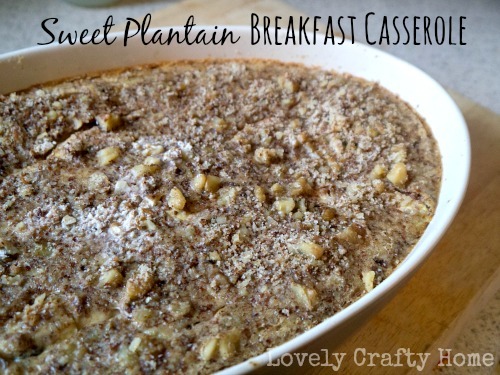 This easy paleo recipe is perfect for busy mornings! I have been making this every week for my husband to warm up before work. It’s a quick and yummy breakfast that borders the line between french toast and banana nut bread. Start by preheating your oven to 350 degrees. 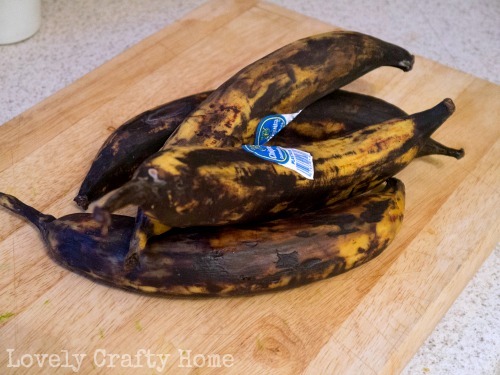 The best way to peel a plantain is to trim the ends off, then make 3 slices lengthwise through the peel down the plantain. Then simply peel the pieces away from the flesh. DO NOT attempt to peel these like a banana! 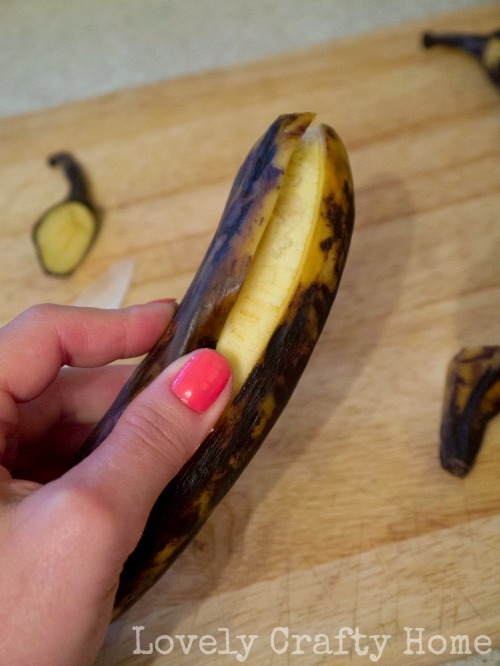 Once you’ve peeled all your plantains, slice them 1/8″ thick on the diagonal and layer them in a buttered casserole dish. 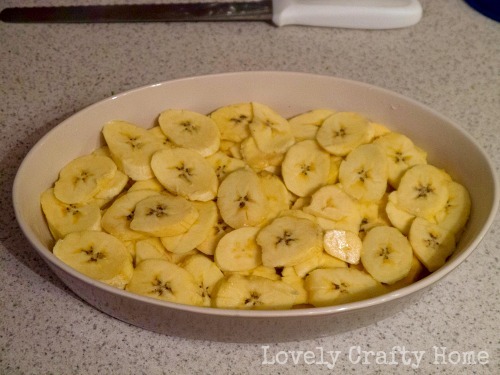 This recipe fits perfectly into my oval dish that’s probably between an 8×8 and a 9×13 size. Beat your eggs and cream together, then add in the spices and vanilla and mix well. 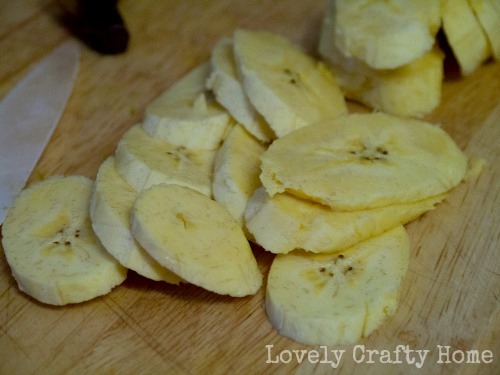 Pour over the plantains. 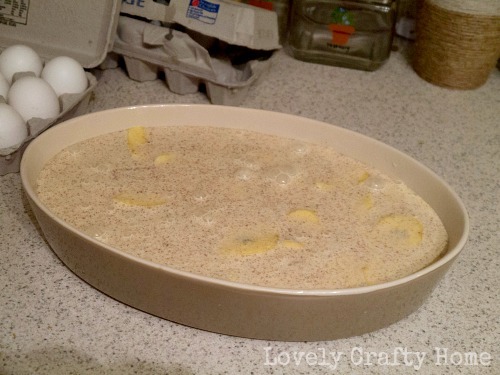 The mixture should just cover the top layer. 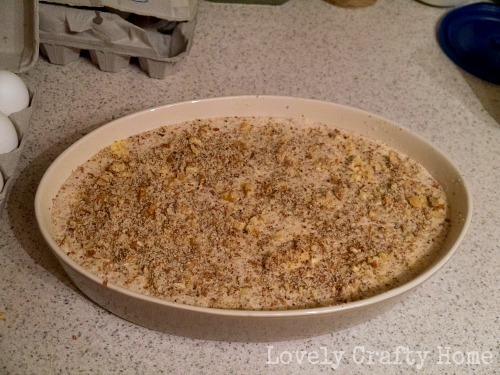 Sprinkle the nuts over the top and pop in the oven. Depending on the depth of your dish, bake for 35-45 minutes. When it’s done it will be nicely brown on top and will not jiggle in the middle. Slice and enjoy with some pure maple syrup 🙂 I have also done an “orange-scented” version using orange zest and a bit of the juice instead of the pie spices. Feel free to experiment with your own flavors! This looks delicious. I just pinned it.